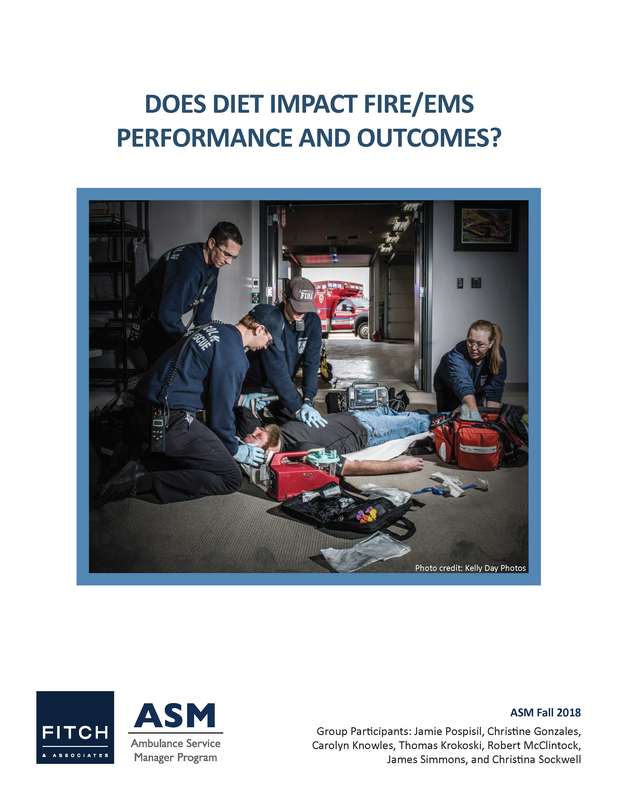 Home > Reports & Resources > Reports > Does Diet Impact Fire/EMS Performance and Outcomes? While it is well known that good nutrition plays a significant role in our overall wellbeing, the impact of our diet tends to fall behind issues like exercise, fatigue, and exposure to carcinogens when we discuss the health risks related to performance and safety in Fire and EMS. It is time for a closer look into what we are, or are not, putting into our bodies and have an open and honest discussion about how what we eat might be harming not just ourselves, but also our patients and the public. A core element of the ASM course is the group project. This is comprised of applying the unique skillsets of the individuals making up each group, coupled with the teachings and techniques learned in the course. 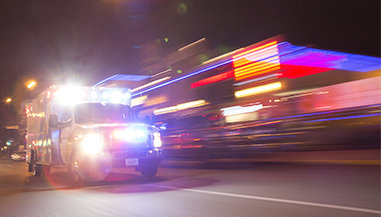 Each project team is tasked with defining a topic that is relevant and important to the Fire and EMS industry. The purpose of the research project is to develop written and spoken communications skills, gain experience with working as a project team with task delegation in both face-to-face and at-a-distance settings, and to conduct hands-on research. At the end of this process, the students have benefited from two distinct accomplishments: the learning process of completing the project itself and the end result. ASM group projects are designed to be beneficial to the course participants as well as the Fire and EMS industry at large. Many go far beyond the course, being published and presented at industry trade shows and national conferences. Click here to learn more.